A week or two ago I subscribed to receive a daily inspirational message from lds.org. Nearly every day, I have received an email with a quote or two from general authorities on gospel topics. One that I received today seems particularly applicable, as we launch into a season of learning, socializing, and many holidays. These are all good things, but it is important to keep our priorities aligned, putting our families at the top of the list. I am as guilty as any one else, for spending time in areas that are less important than family. Hopefully though, you and I can make a change in our own lives, and make sure to give our families the time that they need. If we need to spend time cooking, or reading a book, or jogging, can’t we do it as a family, not only spending time together but also making memories and edifying each other? I know life gets busy; there are people to see, places to be and things to do. But I am confident that among all that we can make our families the people to see, our homes the places to be and making memories the things to do. While we were living in Mesa, one of my friends dropped of a loaf of bread one day, as a kind gesture. 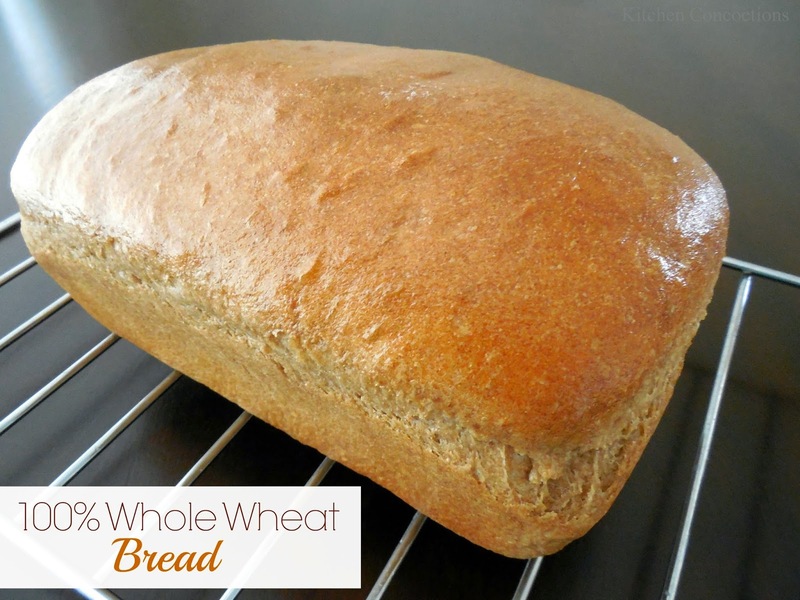 I was amazed at how flavorful and fluffy it was for being whole wheat bread. Once we returned home I asked her for the recipe (since I wasn’t excited to turn my oven on while we were in Mesa), and made it the week she gave it to me. The recipe comes from the Bosch Kitchen Center in Mesa. The recipe did call for dough enhancer (1 1/2 TBS) and vital wheat gluten (1/3 cup) but I left these out with perfect results. Let me tell you about this bread… It is Wonder Bread fluffy, a totally healthy recipe, and super simple. When I say simple, I mean it. The first time it rises is in the bread pan! I don’t know how something so weighed down with whole wheat can get so fluffy with only one rise, but it is amazing! All in all, making this bread only takes about 1 hour from start to finish, and only about 10 minutes of that is active involvement. Combine the water, salt, oil, honey and 3 1/2 cups of the flour. Mix (by hand or with the dough hook on the bread mixer) until well combined. Mix the yeast into the dough. Mix on speed 2 while adding more flour. Add only enough flour to make the dough pull away from the sides and bottom of the bowl, but not more than that (you don’t want your bread too dry). Once all the flour is added, knead the bread on speed 2, for 8 minutes, or until the dough stretches without tearing easily. You can always add a few TBS of water or flour if needed. Grease two bread pans and a smooth surface (and your hands too). Divide the dough in half. Form each piece of dough into a small rectangle, and roll it up into a loaf. Place the loaves into the bread pans, seam side down. Put the pans in the oven, and turn the oven OFF. Leave the oven door cracked open, and set a timer for 20 minutes. After the dough has had 20 minutes to rise in the oven, close the door and turn the oven back on to 350 F. Bake the bread for 30-35 minutes. Remove the bread from the pans and place on a cooling rack. Brush butter over the loaves of bread, and leave them to cool.